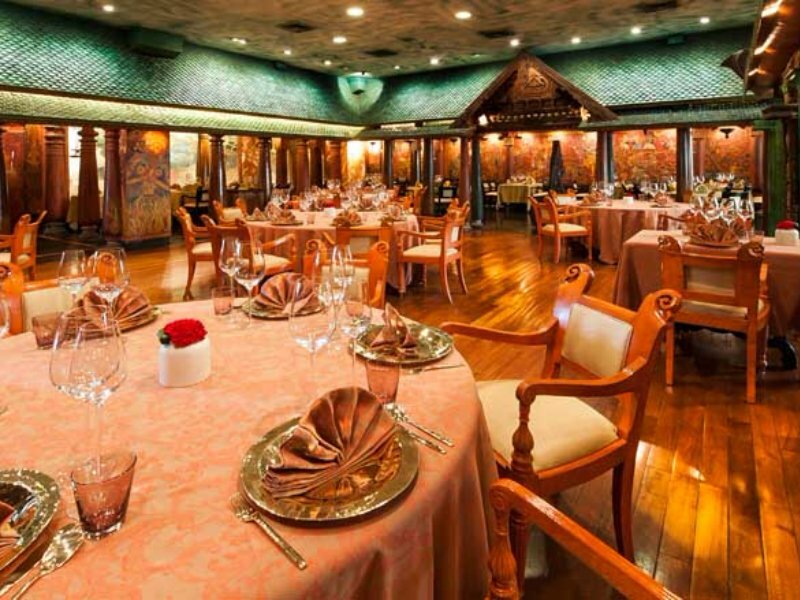 Kicking off our list of the best restaurants in Delhi is the elegant Spice Route restaurant, considered as one of the top ten restaurants in the world, by Condé Nast Traveler. It invites diners on a journey of spices through South-East Asia – from the Malabar Coast in Kerala, to Sri Lanka, Myanmar, Malaysia, Thailand and Vietnam – on a delicious menu crafted by world-famous chef Veena Arora. The food is complemented by a stunningly beautiful setting: the one-of-a-kind interior, carefully crafted over a period of seven years, is completely hand painted with vegetable and flower dyes, in a 3000-year-old tradition. 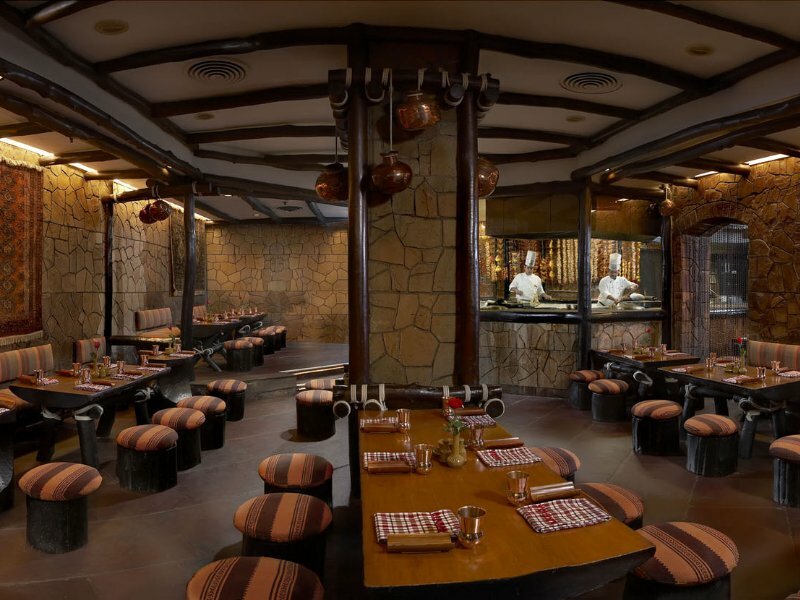 Occupying the second spot of our best restaurants in Delhi is the award-winning Bukhara restaurant, celebrating the once rustic cuisine of the North-West Frontier. Think succulent kebabs and creamy, comforting dal. The history of the cuisine dates back to the early 1900s when the British demarcated the North-West Frontier province, including parts of Afghanistan, and the northwest part of pre-independent India. It was inspired by the tradition of huddling around a campfire to enjoy the rustic tandoori fare. Regularly frequented by presidents, heads of state and international celebrities, the legendary Bukhara has won a number of accolades; including being the 10-time winner of the ‘Times Food Award’, and six-time winner of the ‘Miele Asia Award’ for being amongst the Top 20 Restaurants in Asia. Perhaps the most famous creation here at Bukhara is the iconic Dal Bukhara – a combination of whole black lentils, tomatoes, ginger and garlic, cooked and simmered over slow coal fires of the tandoor oven overnight, for 18 hours at a stretch. 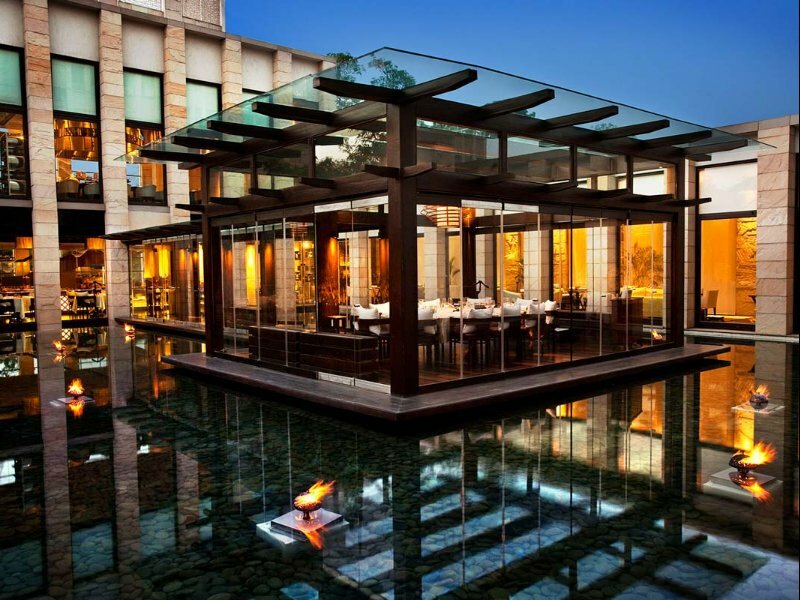 Our number one recommendation of the best restaurants in Delhi is the ever-celebrated Indian Accent, showcasing contemporary and inventive Indian cuisine by fusing the flavours and traditions of India with global ingredients and techniques. The restaurant has won a number of awards – including India’s Best Restaurant by TripAdvisor for 2014, 2015, 2016, and 2017; and the Number 1 Restaurant in India by Condé Nast Traveller. Critically acclaimed Chef Manish Mehrotra runs the restaurant and calls his cooking style “inventive Indian” and “Indian food with an international accent”. American Express awarded him as the Best Chef in India and he is often called the most exciting modern Indian chef in the world today. If you’d like to dine at one, two or all three of our top restaurants in Delhi, please do get in touch. As experts in tailor-made tours of Rajasthan and the surrounding areas (including, of course, Delhi! ), we’d be an ideal fit to create your exciting Indian getaway. Every detail would be designed around you, to suit your tastes, schedule and budget.